2017 In A Sentence: The Hatters finished its fifth straight season (2-9 overall, 1-7 PFL) with a losing record since restarting the program in 2013. Biggest Shoes to Fill: LB Jeb Boudreaux led the Hatters and the PFL in tackles. He had 115 tackles, including 68 solo and 13 tackles for loss. He averaged 10.5 tackles per game which tied for eighth highest in the NCAA FCS division during the regular season. He also had a team-high 5.5 quarterback sacks, eight quarterback hurries and three forced fumbles. 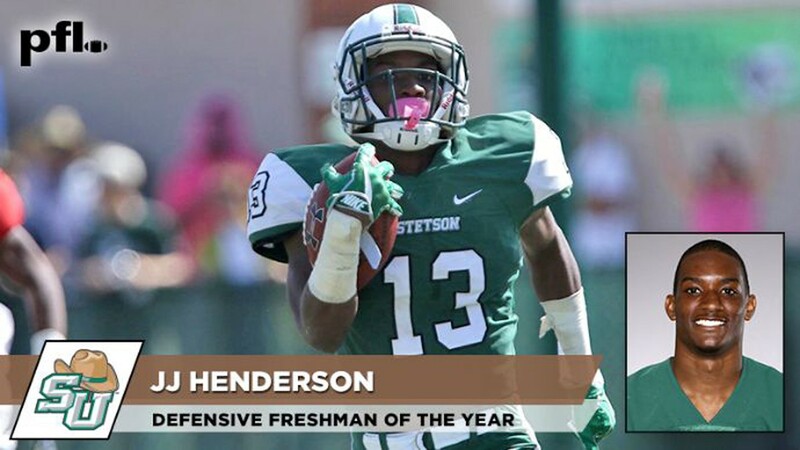 Key Player: CB JJ Henderson earned the PFL Freshman of the Year award after a brilliant first season with the Hatters which saw him start all 11 games as a defensive back while amassing 71 tackles, including 50 solo, and 2.5 tackles for loss to go along 11 pass breakups. His 71 tackles were 10th most amongst FCS freshman nationwide. He will look to be a team leader in his sophomore season. 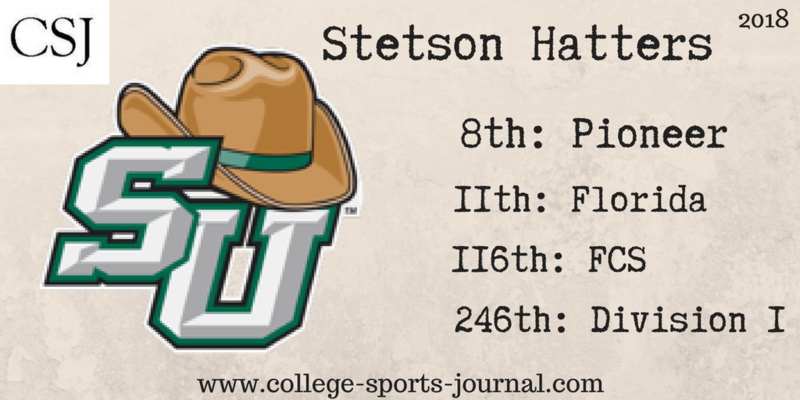 Fearless Prediction: Inch by inch, the Hatters are getting better, though it’s a lot slower than Stetson fans may like. The goal this year has to be a .500 season, and with a pair of NAIA teams to start the season, they have a chance to take another step up.